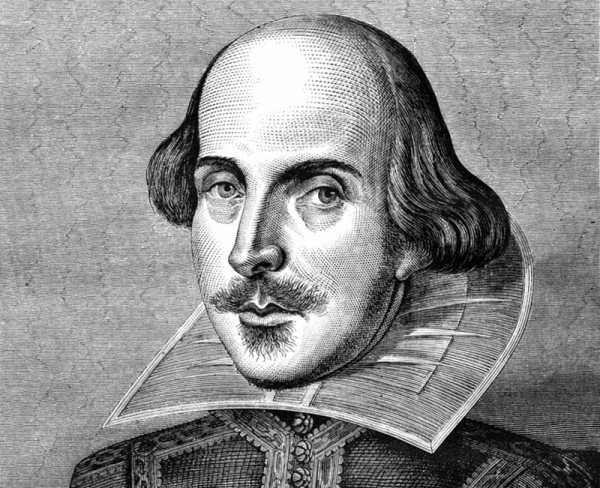 23rd April 2016 marks the 400th anniversary of William Shakespeare's death. We've rounded up the most spectacular, fascinating and unusual ways to celebrate the Bard’s 400-year legacy. 23rd April 2016 is the 400th anniversary of William Shakespeare's death (and, on a brighter note, also his 452nd birthday) and there are all sorts of Shakespearian fun and games taking place across the country to celebrate the Bard’s 400-year legacy. Struggling to choose between all the performances, exhibitions, books, films, talks and on offer? Here’s our guide to the most spectacular, fascinating and unusual ways to celebrate Shakespeare this year. Shakespeare's hometown has been throwing him annual birthday parties for over a hundred years, but this year they’re going all out with a year-long programme of events. The house where Shakespeare was born in is the perfect place to begin your tour of the town’s historic properties and no visit to Stratford would be complete without seeing a performance at the Royal Shakespeare Theatre. Shakespeare’s London home is also pulling out all the stops to celebrate the 400th anniversary with a year-long series of events, talks, special performances, and exhibitions celebrating the life of the world’s greatest playwright. If you’re quick you can still catch productions of A Winter’s Tale and The Tempest at The Globe’s atmospheric candle-lit indoor theatre. These will be followed by a jam-packed Summer season in the open-air theatre including Macbeth and A Midsummer Night’s Dream. Over Shakespeare’s birthday weekend there’ll also be a series of performances from the plays screened along the banks of the Thames. The British Library’s latest exhibition, Shakespeare in Ten Acts, explores how Shakespeare’s plays have been transformed for new generations of theatre-goers. The items on display include a surviving play-script in Shakespeare’s hand, an authentic Shakespeare signature and Shakespeare’s First Folio. Those North of the border will not be left out of the Shakespearian fun as Edinburgh hosts the exhibition Playing Shakespeare, focusing on iconic performances from the likes of Benedict Cumberbatch, Judi Dench, Vivien Leigh, and Maggie Smith. The wonderful bookish folk behind the annual Books Are My Bag campaign in support of independent bookshops are at it again. Bookshops across the country will be celebrating ‘Shakespeare Saturday’ on 23rd April to mark the 400th year since William Shakespeare's death. Specially designed 'The Bard Is My Bag' tote bags will be up for grabs from participating bookshops on the day. For those of you who prefer your Shakespeare on the page rather than from the pit. A beautiful cloth-bound, illustrated edition of all of Shakespeare’s plays and poems. One for completists and lovers of beautiful books. Alternatively, particularly if you’re short on time, you might prefer this 400th-anniversary edition of Shakespeare’s sonnets. These one hundred and fifty four linked poems are the most complete and moving meditations on love ever written in the English language. Want to brush up on your Shakespeare knowledge? Jonathan Bate’s classic biography of the life – and afterlife – of the greatest English poet, The Genius of Shakespeare is the perfect book for you. The new Picador Classic edition includes an introduction by Simon Callow. Who was Shakespeare? Why has his writing endured? What makes it so endlessly adaptable to different times and cultures? And how did the Bard of Avon become such a global phenomenon. Some of the world’s most well-known authors, from Howard Jacobson to Margaret Atwood, have written new novels based on the plays of Shakespeare. We’re particularly excited about Anne Tyler’s retelling of The Taming of the Shrew, Vinegar Girl and Jeanette Winterson’s take on The Winter’s Tale, The Gap of Time. What to see . . . There are hundreds of productions of Shakespeare taking place around the UK over the next few months but these are the ones we’re most excited about. A mammoth production of the nation’s favourite Shakespeare play, A Midsummer Night’s Dream. Developed by the Royal Shakespeare Company and Equity, the play will be performed by a cast of nearly 700 made up of both professional actors and local amateur groups. Dream 2016 is currently touring the UK. The Globe’s ground-breaking production of Hamlet, currently on a world tour, returns home in time to celebrate Shakespeare’s birthday. Don't miss your last chance to catch a production that has played to over a hundred thousand people in all corners of the world. This gorgeous production of Christopher Wheeldon’s ballet adaptation of Shakespeare’s tale of love, loss and reconciliation performed by The Royal Ballet will be at the Royal Opera House, London until June. The award-winning film adaptation of Richard III, starring Ian McKellen, Maggie Smith and Robert Downey Jnr will be shown in cinemas across UK cinemas on 28 April. The film will be followed by a live screening of an on-stage Q&A, taking place at BFI Southbank, between Ian McKellen and Richard Loncraine. Audience members can submit their questions for the post-film discussion via social media. Fancy a less traditional take on Shakespeare? There are 74 onstage deaths in the works of William Shakespeare (75 if you count the fly killed in Titus Andronicus) and Spymonkey will perform them all in one evening in their strange, bloody and funny celebration of the Shakespearian demise. The Complete Deaths will be touring the UK April to October 2016. What to watch . . .
Can’t make it to the theatre? Not to worry, there’s still plenty of Shakespearian fun to be had from the comfort of your own home. Launching on April 23, Upstart Crow is a new Ben Elton-penned sitcom about Shakespeare’s life and works staring David Mitchell as the Bard. David Tennant will host a live TV celebration of Shakespeare on BBC Two on 23 April. He’ll be joined by Dame Judi Dench, Rufus Wainwright, Ian McKellen, Joseph Fiennes, English National Opera, and the Royal Ballet for an evening of Shakespeare-inspired music spanning everything from hip-hop to opera. Benedict Cumberbatch and Judi Dench will star in the next instalment of The Hollow Crown, the BBC’s series of adaptations of Shakespeare’s History Plays. Russell T Davies’ bold and accessible new adaptation of A Midsummer Night's Dream starring Maxine Peake and Matt Lucas will be coming to BBC One this Spring. For more Shakespeare-themed events visit www.shakespeare400.org. Read William Shakespeare's 'Sonnet 33' here. Stay in the know about the best new books, the biggest events and the literary world's brightest rising stars with Picador's monthly emails.